October 9 - Australia's oldest surviving Olympian Basil Dickinson has passed away at his home in the Blue Mountains, New South Wales, it was announced today. The 98-year-old took part in the triple jump competition at the 1936 Berlin Games, one of 33 Australian athletes who made a 41 day voyage on board the liner Mongolia, to compete at an event infamously know as the "Hitler Games". Despite being advised to do so by the German authorities, Dickinson and his teammates refused to give the Nazi salute as they passed the evil dictator's box during the Opening Ceremony. 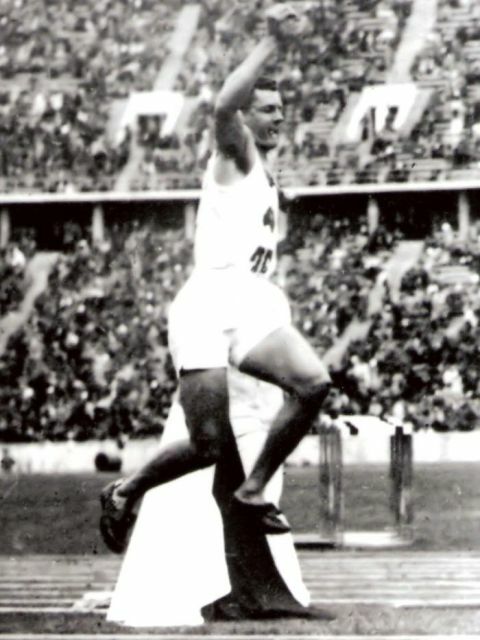 Dickinson, who was an accomplished long jumper also, came into the 1936 Games ranked number two in the world behind his compatriot and former triple jump world record holder Jack Metcalfe, and both were expected to battle it out for gold in Berlin. But Dickinson, then 21, finished in a disappointing 16th place with a jump of 14.48 metres, while Metcalfe managed to secure a bronze medal with an effort of 15.50m behind Japan's Naoto Tajima and Masao Harada. Both men were scheduled to take part in the long jump event also, but pulled out due to injury. Despite going on to claim two more bronze medals in the long jump and triple jump competitions at the 1938 Empire Games - now the Commonwealth Games - in Sydney, the outbreak of World War Two brought a premature end to Dickinson's international career. The man from Queanbeyan enlisted in the Australian army and served during the War before returning to begin a career working in the insurance industry. 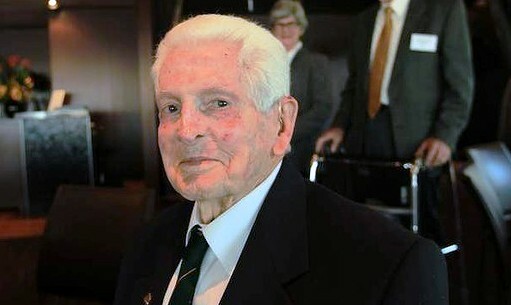 "Basil was a remarkable man, very friendly, a great gentleman with a quick wit" said Australian Olympic Committee (AOC) President John Coates, who confirmed that Dickinson's family has been offered the Olympic flag for his funeral. "He was our most senior Olympic competitor and one that we all treasure for the standards he set for the Olympians who followed over the next 70 years. "He was a credit to his sport and the country in general".